Humans have caused the decrease of many island birds, but did humans cause the disappearance of some prehistoric penguins from New Zealand as well? Let’s find out. Several members of the genus Eudyptes, known as crested penguins, live in the New Zealand archipelago. 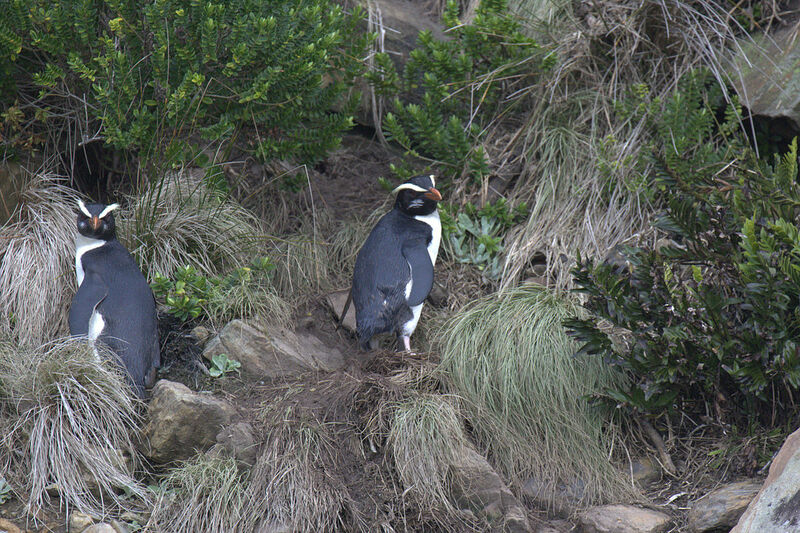 These species are: the Erect-crested Penguin, the Snares crested Penguin and the Tawaki (a.k.a. Fiordland Penguin). The isolated Pacific island is quite well-known for its stories of bird extinctions. Many taxa including birds and mammals have disappeared from New Zealand due to human pressure, excessive hunting and/or the presence of introduced predators. The reason why island animals are so vulnerable to new pressures lies in the fact that they have evolved isolated, in a situation where many of them have lost their anti-predator defenses, becoming an easy target for introduced predators and hunters. Due to several studies showing that crested penguins have been declining since the 20th century, many scientists have assumed that crested penguins have been susceptible to human disturbance possibly since historical times, when the first humans arrived to the archipelago. In a recent study1 using historic and modern DNA analyses from fossil records, scientists have tried to understand if the current distribution of crested penguins are due to extinction during prehistoric times caused by humans or due to range shift in the distribution of current species. To test their hypotheses, the study used material from 84 prehistoric bone samples, initially identified as belonging to crested penguins. Those fossils were dug out in mainland New Zealand and right now are deposited in museum collections found in New Zealand and Australia. The analyses of crested penguins focused on the genetic diversity from genetic markers. The first analysis indicated that New Zealand had six prehistoric penguins inhabiting the island. Possibly, one of the new taxa identified corresponds to a previously undescribed lineage of crested penguin. 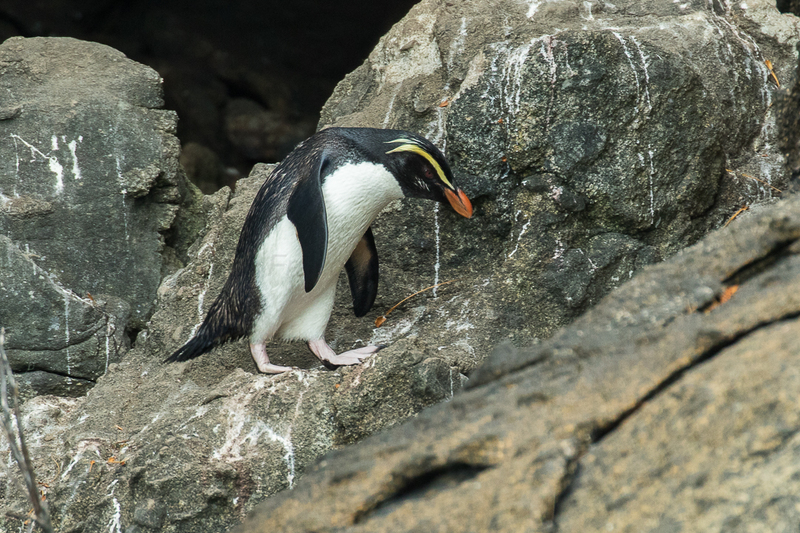 Such findings indicate that New Zealand had a higher penguin diversity in the past. The analyses found also that although the range of some penguins might have decreased in extent (e.g. Tawaki), their genetic diversity had remained relatively constant, meaning that it was probably not affected directly by humans. Similar findings were detected across the other species in relation to their genetic diversity. Such findings contrast with what has been found for other New Zealand animals, like fur seals or the Fouveaux shag, which were probably targeted by the first human settlers and that currently show reduced genetic diversity. It is likely that the southern part of this island has remained relatively isolated and experienced less human pressure in comparison to the northern parts of the island, behaving as a refuge for penguins. In fact, no fossil record of New Zealand South Island endemic penguins exists in the archeological deposits from the North Island, ruling out that the Maori traded with penguins at that time. The researchers argued that it is also likely that when European settlers arrived, many parts of the South Island were too isolated and remained inaccessible to them. This isolation could explain why the populations of Tawaki remained relatively stable. The main cause of the disappearance of other prehistoric penguins remains a mystery. Most likely changes in environmental conditions or food sources might have played a big role in the likelihood of extinction of those species, just as it has been found for prehistoric penguins elsewhere. This study highlights that some island species can be more resilient than others to human disturbances. It is really important for the future of any insular animal population to maintain adequate levels of genetic diversity. More importantly, including genetic diversity assessments in future conservation proposals will secure the accurate management of species, as well as conservation decisions for penguins. The use of genetic tools in conservation biology has potentially a very bright future ahead. As for crested penguins, we need to keep investigating which are the most immediate threats that are causing their decline. We want to see them “hopping” for many more centuries ahead. Also, tell us what else you’d like to learn about penguins! We’re here for you. Help us continue to provide updated penguin news through your financial support. 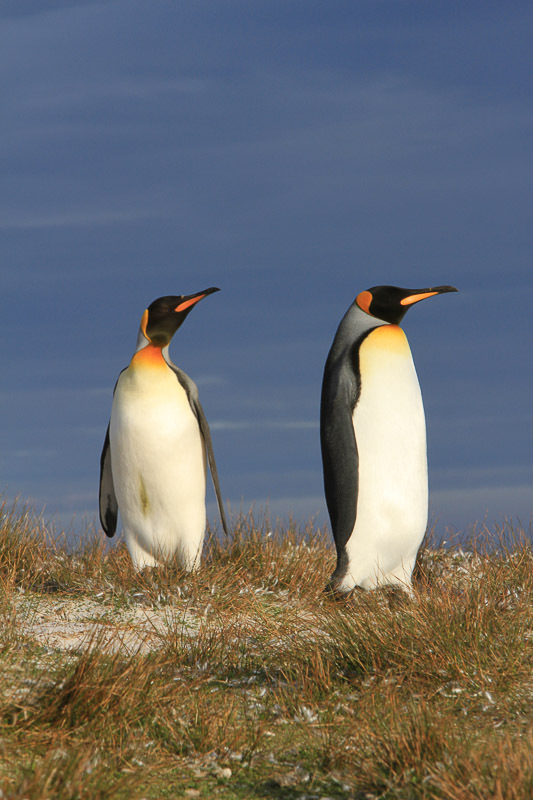 How will climate change affect King penguins?